When we’re staring down at the prospect that everything in our lives is going to change, where do you even begin? How will I tell my husband, the one I pledged to spend the rest of my life with? How do I tell the kids, our families and friends? How do I manage the emotional rollercoaster that I’m entering? How do I ever move on? How will I overcome my fears? What will my life look like a year from now? And will I ever have another shot at love again? You’ll know what to expect and be prepared for what’s next. You’ll know how to move through this time in the most peaceful way possible so that you don’t lose your mind, lose yourself or damage people in the process. 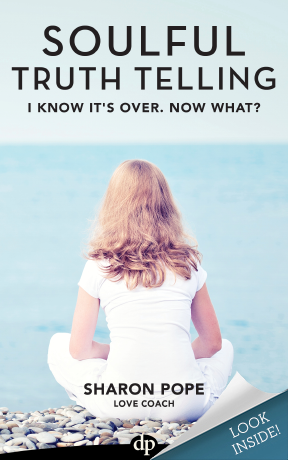 Soulful Truth Telling will help you use this experience as a gentle launching pad for moving you out of a painful marriage and give you hope for the life that’s awaiting you.